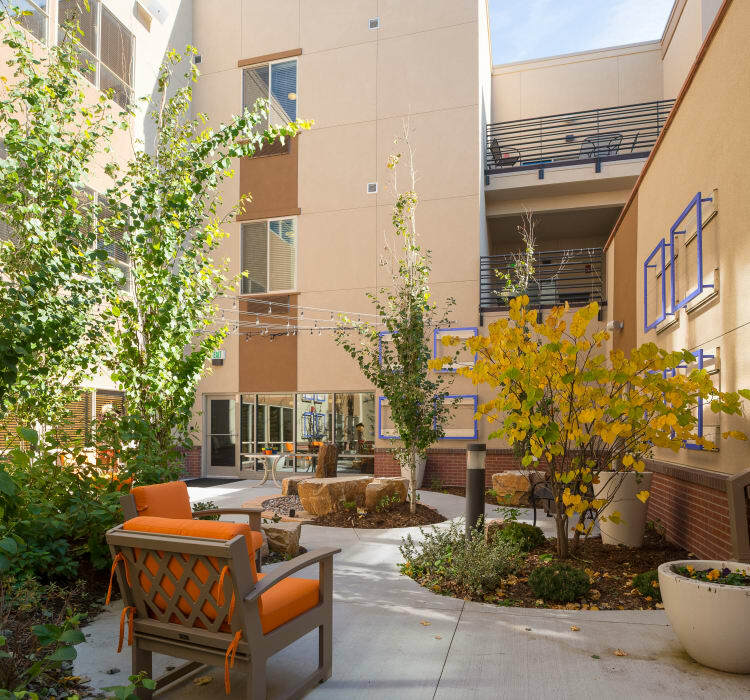 The Village at Belmar is the newest senior living campus situated in the heart of the Belmar Shopping Center and healthcare corridor in Lakewood, Colorado. We are passionate about what we do, and at the end of the day, our main goal and priority is to better people’s lives. Our community provides a chance for residents to socialize, feel safe at home, and maintain their independence with dignity and security. With an array of living options and services to choose from, including independent living, assisted living, and memory care, you will find the quality and comfort you’re looking for in a senior living community. At the Village at Belmar, you or a loved one will wake up each day to amazing views of the Rocky Mountain foothills, accompanied by the smell of freshly brewed coffee. Get moving with a morning stroll along the Village’s quarter-mile walking trail. Catch up with friends over a game of bocce ball, practice your putting skills on the green, check on your organic herbs at the Village Garden, improve your stamina and balance at any of the four outdoor exercise stations, or relax on a bench or gazebo and read a book. The opportunities are endless at Village at Belmar. The Village at Belmar is innovative, progressive, and committed to making residents feel at home. We invite you to come visit Village at Belmar for a personalized tour. Contact our friendly team today.